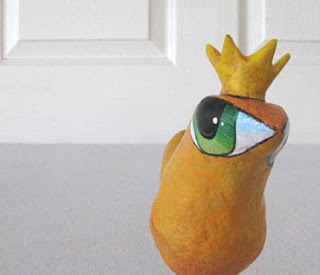 Sculpture is three-dimensional artwork, created by shaping or combining hard materials, typically stone such as marble, metal, glass, or wood, or plastic materials such as clay, textiles, polymers and softer metals. And sculpture, be it larger works of art or mere objects with an aesthetic value, is everywhere. This post is only aiming to present a few cases, in the hope that it will bring them to your attention as amazing works of art. First in this endeavour, will be a creation by Nafsika, and it's no other than her Sea urchin sterling silver ring. 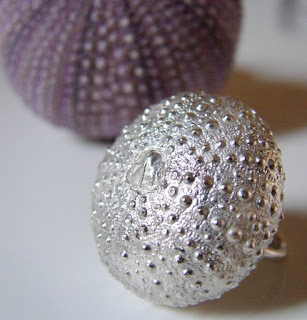 Like Nafsika says, 'This ring was made using the lost wax technique, one of the most ancient ways to create jewelry'. Excellent work! Ceramic art always impresses me, and Victoria dreamed of another era is definitely one of those cases. Well done, annbclay! 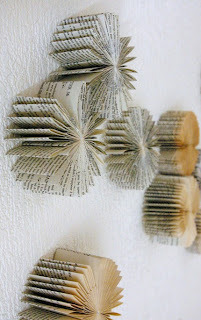 How about a lovely, abstract, eco friendly cluster of 10 Mini Wall sculptures, which can also be stacked? What a great idea, by Paperfaerie. Intres has always impressed me with her work. 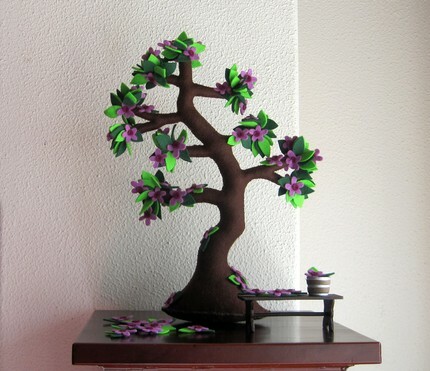 See this Spring tree blooming - felt tree: it's perfectly made, like a bonsai. I am in awe! 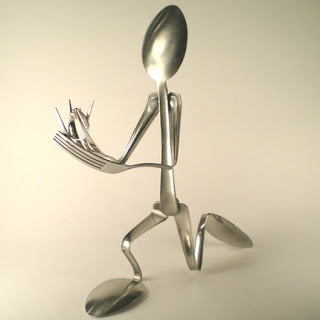 Next in this post, I am giving you an incredible creation, by ForkedUpArt, called 'Will You Marry Me', made with spoons and forks, which also happens to be a ring holder! Don't you just love it! And since paper mache is one of my personal favorite materials, here's Faith, one of my favorite creations by Middleburg, whose simple, whimsical, folk art style always manages to put a smile on my face. Magnificent! 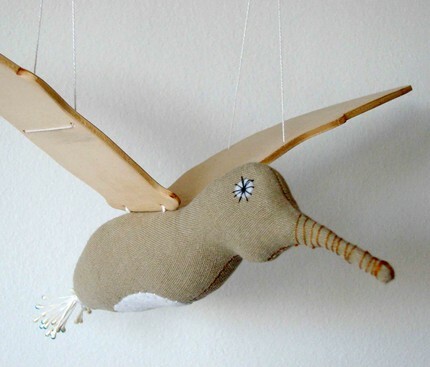 The colibri birds are one of Maria's latest objects (yourdoll, psarokokalo), and it's a wondrous combination of wood and textile, which is incredibly original! 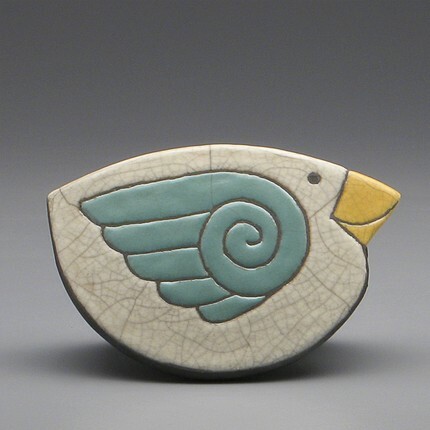 Fishstikks produces fabulous works, and the birds are just one example. Isn't Olivia quite something? 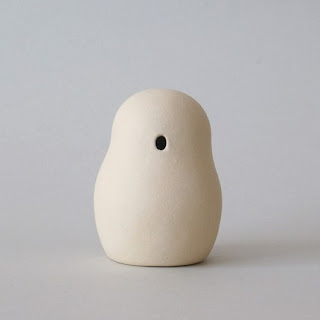 Mitsy (ArtMind) is famous for her ceramic mini art feelings series. Since I was unable to pick just one, I chose Sleepy - 5 - Mini art feeling quite ramdomly. Brilliant! Kathleen McGiveron is a visual artist who I believe is very promising. 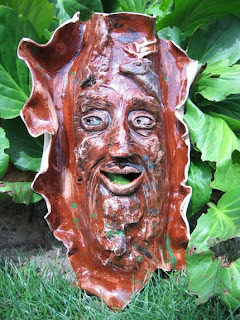 Take her I saw an Elk today - Ceramic Wall piece, for example. I love how spontaneous and fresh the emotion that comes across to the viewer is! 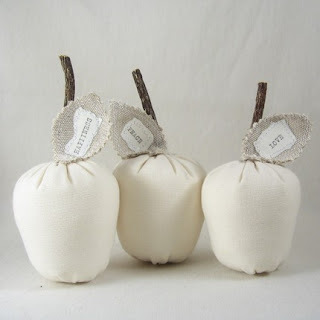 These Inspiration Apples are constantly among my favorites, by lapomme, whose work I greatly admire for the calm feeling that it communicates. One more bird now! I often find them irresistible... This one is a Large Rocking Bird, and is made by DavisVachon. Solo is one of my favorite objects, because it also has qualities of a character. 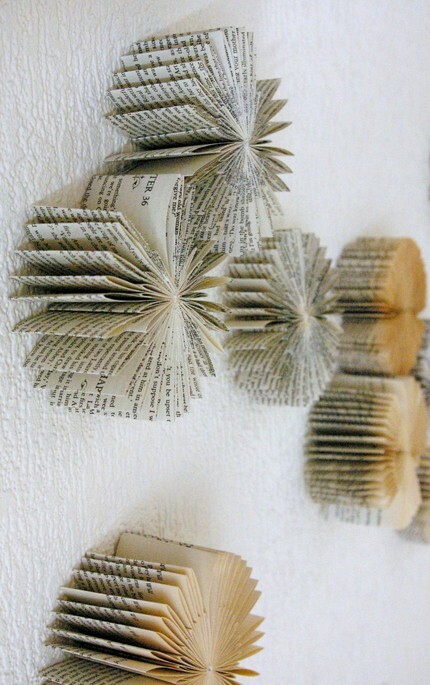 And you know how much I love literature... Anyway, this Solo here is on a tree stump. Well done illustrationbygosia! 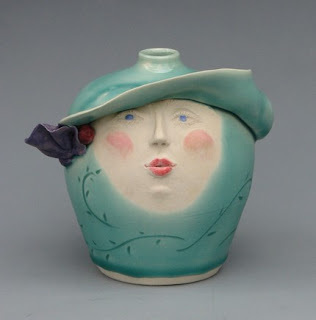 Last, but certainly not least, here's Nelly dreaming of spring, by urbanblue. It makes you strong enough to keep this refreshing feeling in your heart all year round! 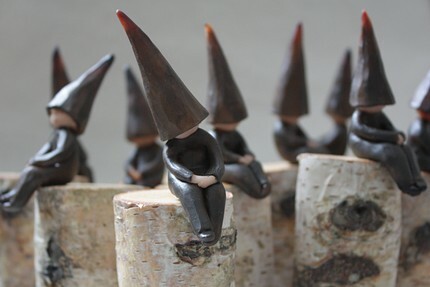 All these creations make up for just a part of the amazing sculpture you can discover on Etsy. I hope you enjoyed this post as much as I did! Thank you so much for sharing such beautiful Art and such talented Artists! 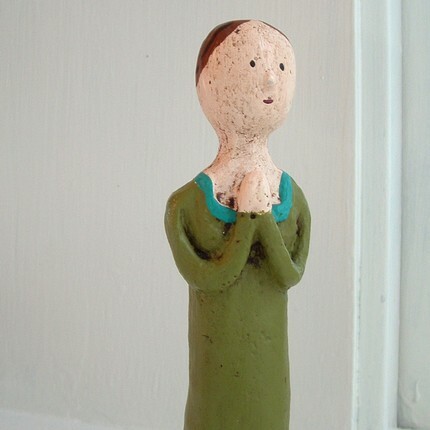 It's a joy for the heart to look at these works of art and to read this great post! thank you!!! This is a great blog post indeed!!! Lovely collection, I had fun going to each artists shop to see more. Thanks for including me. super post! thank you my girl! 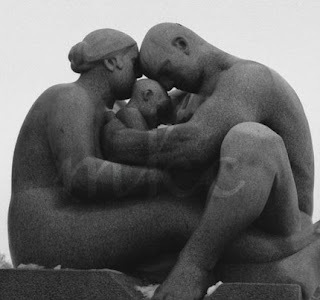 Thank you so much for including my photograph of "Family" in your post - such a unique way to explore sculpture! What an awesome curation here! It's weird too cause they all kinda of work together as a collection. Sooooo cool all the works are amazing. Thank you so much for including mine!!!!! Thank you for including our rocking bird in your inspiring collection! I love looking at sculptures. Thank you for this post! Just want to thank you for all your lovely comments you leave me. You are great! What a wonderfully beautiful collection of fantastic sculpture!! I am honored to be included amongst such gorgeous work and have many new favorites!